The QX60 blends top-tier materials, comfort and ergonomics to create a lavish experience that is breathtaking as well as practical. With three rows of seating, backup collision intervention, forward emergency braking, an exhilarating 295HP 3.5L V6 engine and a suite of safety and technology features, the 2019 QX60 is sure to become your favorite vehicle the second you step inside. 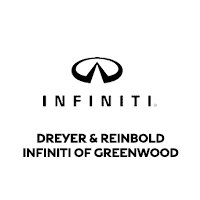 Find the newest INFINITI QX60 specials in Greenwood, Indiana from Dreyer & Reinbold INFINITI South today! We offer the best selection of 2019 INFINITI QX60 SUVs at the lowest prices. Our inventory is always rotating, so if you don’t see the perfect QX60 today, simply call us and one of our experts will help today! Be sure to check out our newest INFINITI specials to find the absolute lowest price available for the new QX60. Trans: Electronically-controlled Continuously Variable Transmission. Manual shift mode offers sequentially selectable manual gearshifts. Manufacturer’s Suggested Retail Price. Excludes options; taxes; title; registration; delivery, processing and handling fee; dealer charges. Dealer sets actual selling price. Prices do not include additional fees and costs of closing, including government fees and taxes, any finance charges, any dealer documentation fees, any emissions testing fees or other fees. All prices, specifications and availability subject to change without notice. Contact dealer for most current information.